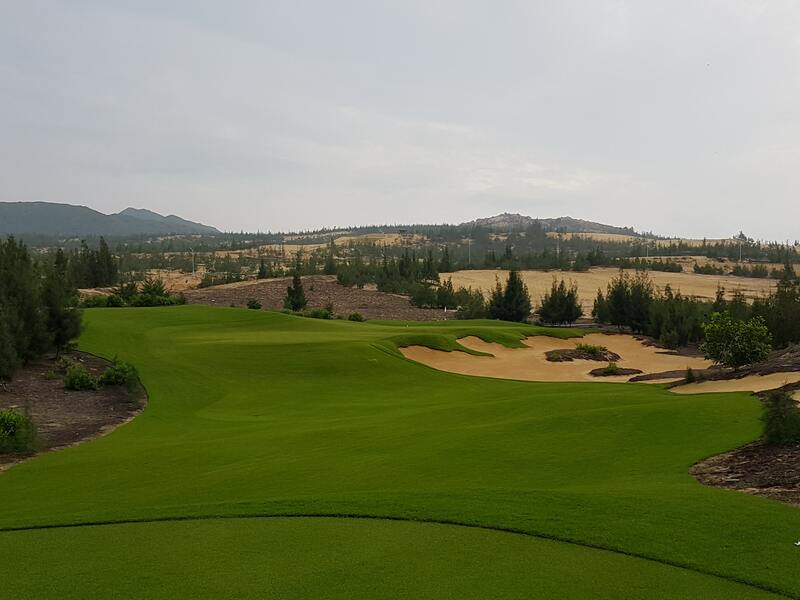 FLC Quy Nhon Golf Links offers 36-holes of championship golf that includes the Nicklaus designed Ocean Course, and the Schmidt Curley designed Mountain Course;. Each offers its style and challenges. 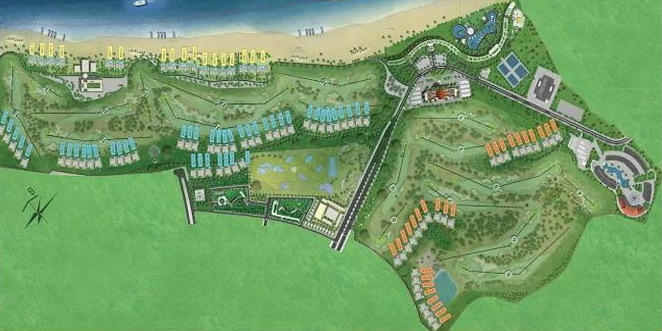 The entire facility is part of a massive seaside resort complex located 45 minutes from the Quy Nhon airport and 30 minutes from Quy Nhon town itself. The South China Sea is in clear view everywhere on the Ocean Course. 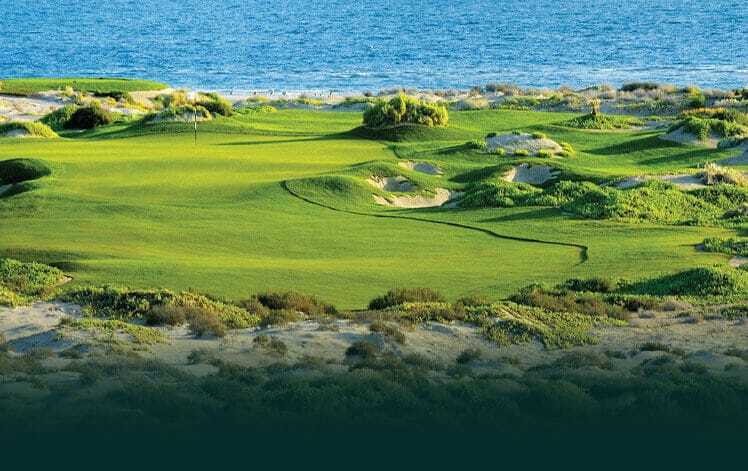 Dunes frame most of the holes providing a golf style more similar to the links courses in Australia’s sandbelt than many of the layouts found elsewhere in Asia. 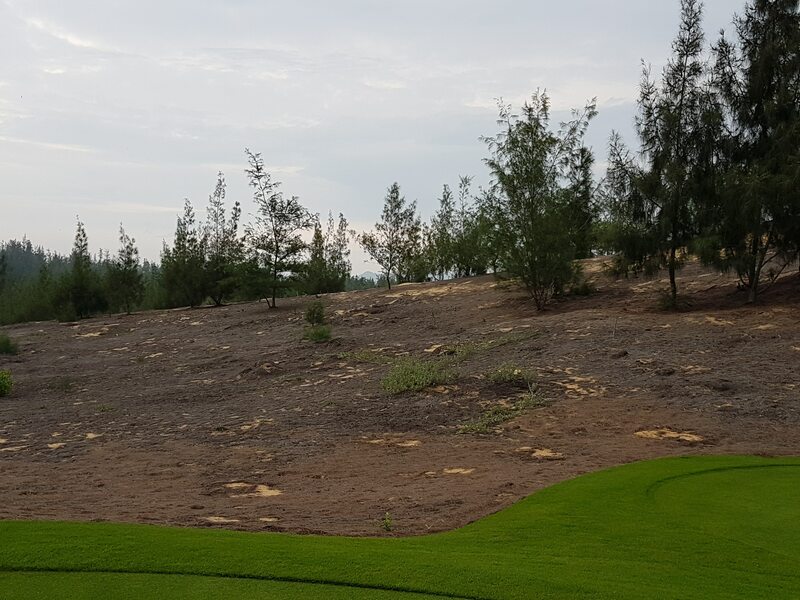 Scrubby pines and waste areas throughout the site add to the golfing experience at Quy Nhon. The 7,273 yard, par-72 Nicklaus designed Ocean Course is as challenging as any in Vietnam, if not all Asia. 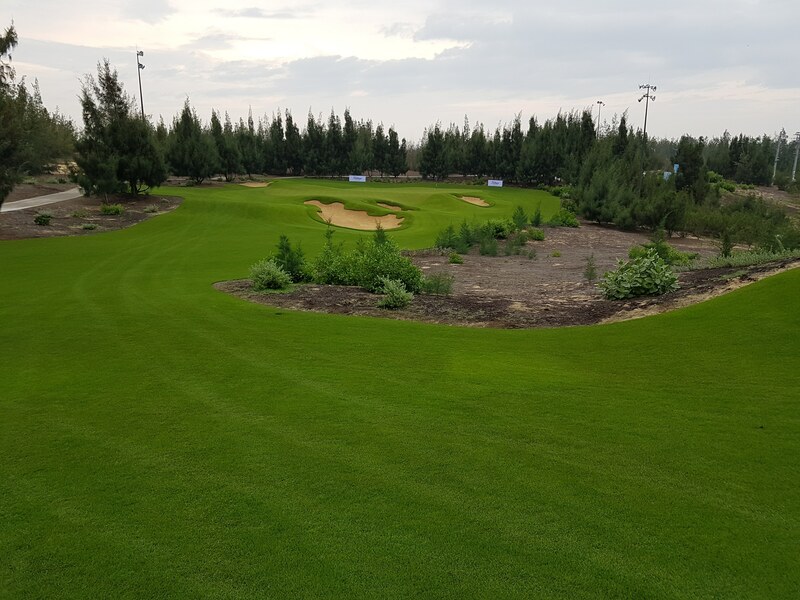 Extremely tight fairways and small landing areas put a premium on driving accuracy. Keep out of the pine straw waste areas, and low scores are typical on most holes. Stray off the fairway and a double bogey or worse is almost guaranteed. 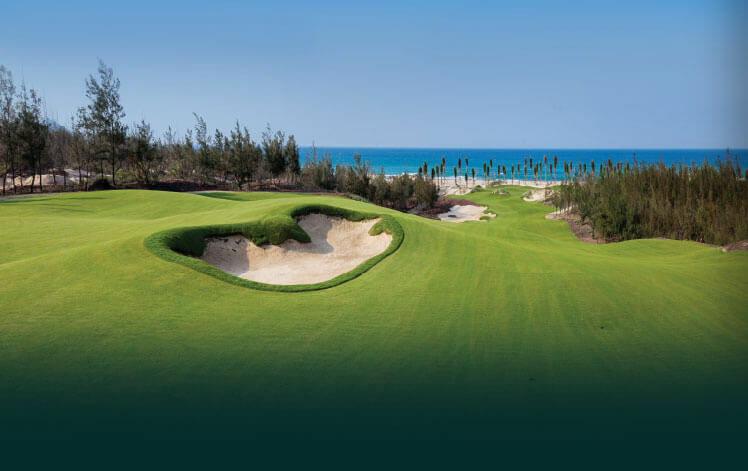 Course highlights include the closing stretch of holes thirteen to eighteen which play right along the Vietnamese coastline tracking the South China Sea. 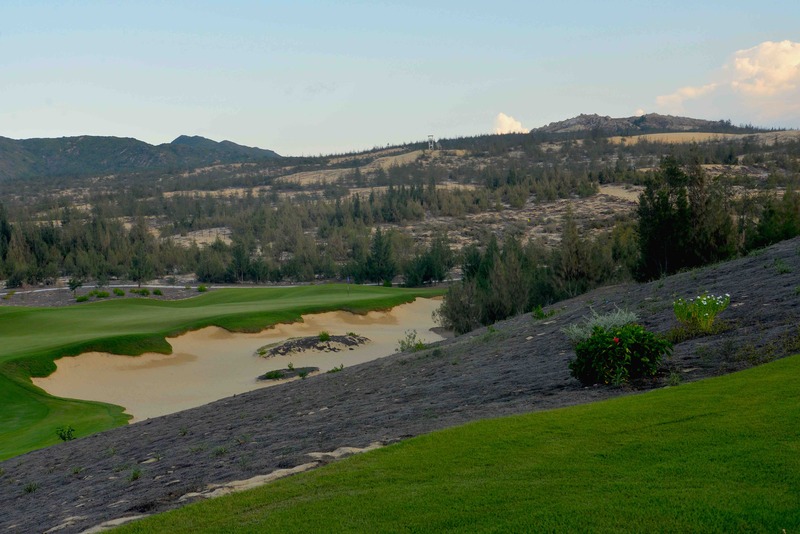 The par-3 sixteenth is dozy with natural waste areas surrounding forming a 360-degree ring around the smallish green. The 569-yard par-5 seventeenth is also one of the best. An accurate tee shot to a bisecting fairway is needed to avoid deep heather rough areas. Standing on the golfer is perplexed about how much to yardage cut off using a driver and set up a birdie chance or take the safe route and lay back to settle for par with a fairway wood. Either way, it’s not as easy as the shot into the green is over a broad ridge is entirely blind. The only savings is that most shots clearing the ridge funnel into the stadium shaped green. Finish with a par on the eighteen, and you will come off the course with a sense of accomplishment. 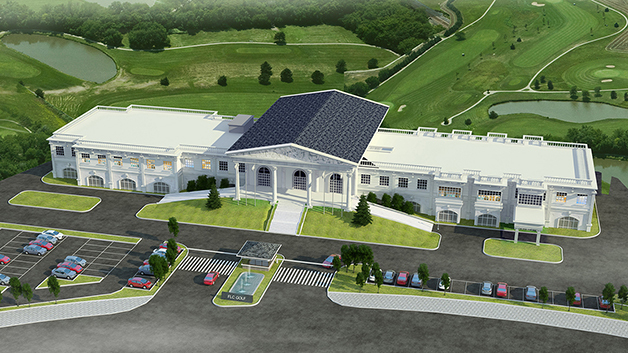 A modern clubhouse with three restaurants, 2 bars, VIP locker rooms, fully-stocked pro shop, covered driving range, electric golf carts, and on-course rest stops ensure a 5-star golfing experience. Female caddies and a full team of service professionals are on hand to provide smooth golfing and operations. 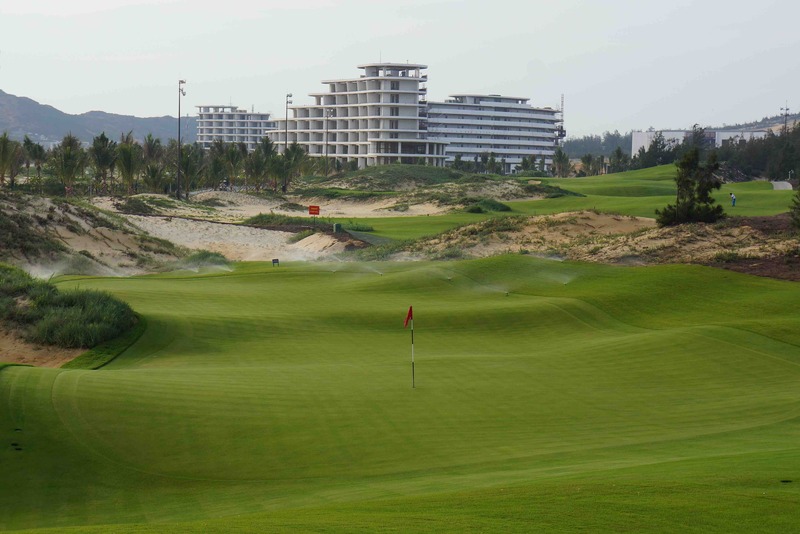 Golfers fortunate enough to play Quy Nhon Golf Links are in for a real test of golf like nowhere else in Vietnam with service to match any of the finest clubs in the world. 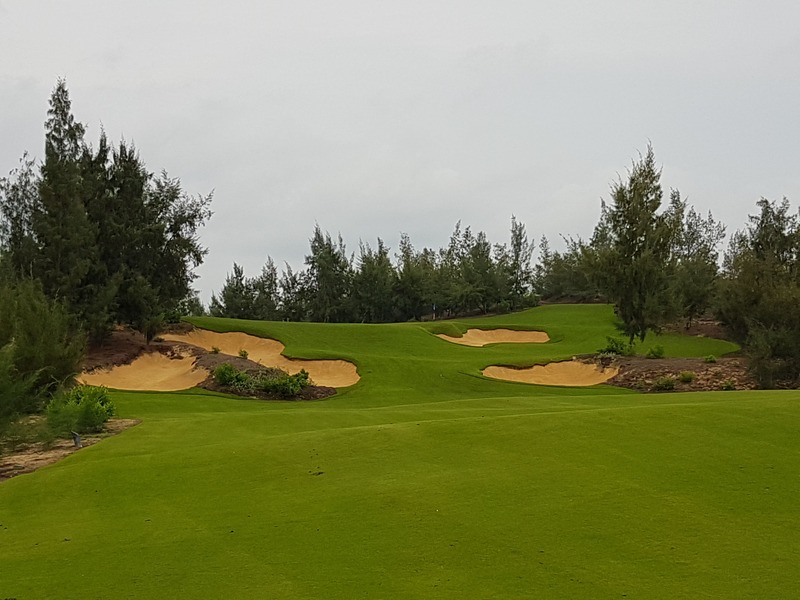 Have you played golf at the FLC Quy Nhon Golf Links Ocean Course and took some nice photos that you would like to share with other golfers? Send them to us and we may upload them here. Thank you in advance!